What is a Multi-Point Inspection or MPI? 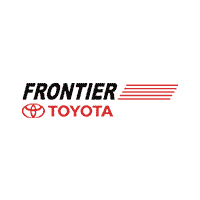 What Does a Toyota Multi-Point Inspection Include? Regular maintenance is essential to obtaining the highest level of performance, safety and reliability from your vehicle. In addition to scheduled maintenance, your vehicle requires ongoing general maintenance such as fluid checks and visual inspections. When you ask for a complimentary multi-point vehicle inspection (or MPI), our Toyota certified factory-trained technicians will perform a visual inspection and thorough tests on your vehicle’s critical systems. Our technicians will go through a detailed checklist to ensure that your vehicle is functioning properly. Your service advisor will provide you with the MPI form indicating the condition of each component inspected. 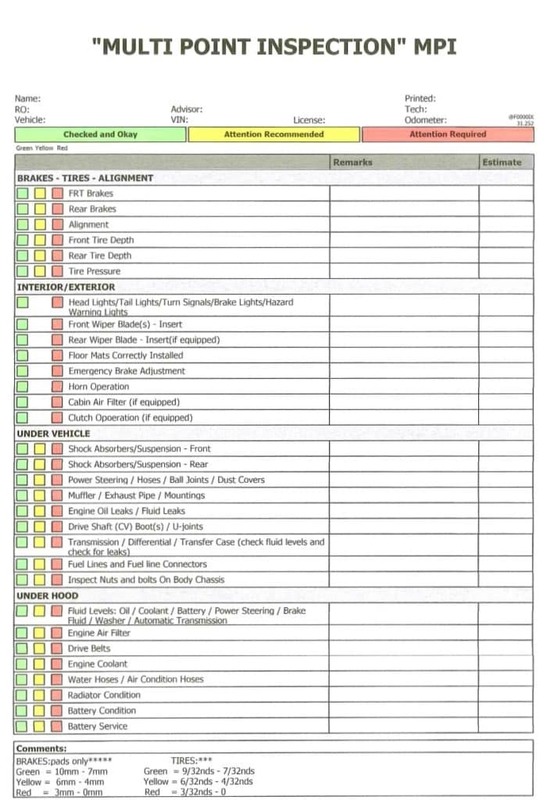 Each item’s condition is indicated by a check mark in a green, yellow or red box. The green box signifies that the item has been checked and is functioning properly. Yellow is a warning that the component is showing wear and may need attention in the near future. The red box indicates that the component needs immediate attention. Here is what’s included when you request a multi-point vehicle inspection. To ensure a smooth and safe ride, all tires are checked for correct pressure, tread depth, and damage. Your vehicle’s front and rear brake pads, rotors, hoses, and calipers are inspected for wear. Your vehicle’s wiper blades, exterior lights and signals, horn, emergency brake, and cabin air filters are all inspected. Our technicians will check your vehicle’s shock absorbers and suspension, steering components, exhaust system, drive shaft, and fuel lines. Technicians will look for any leaks coming from the transmission, differential, transfer case and engine. A thorough inspection of your vehicle’s vital engine components including fluid levels, engine air filter, drive belts, water and air conditioning hoses, and a battery test will be performed. Schedule a service appointment with us if you think your vehicle might benefit from a complimentary multi-point inspection.